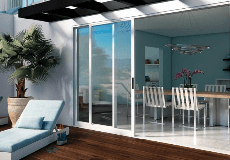 California Window & Door is an established local company located off Cook Street in the Palm Desert Business Park for over twenty four years. The company is owned by Timothy Ellenz, a veteran of the window and door industry for more than 30 years. Tim first started his business in Colorado and later relocated to the Coachella Valley due to the business opportunity the area provides. Tim and his staff strive for strong customer relationships and they are committed to providing personal, courteous service with meticulous attention to detail. Tim strongly believes in old-fashioned values such as having a staff member answer the phone during business hours, prompt customer service and having a knowledgeable salesperson immediately available to attend to your window and door questions and needs. All of our installations are done by our own AAMA certified employees. The Coachella Valley, Palm Desert, Palm Springs, Indian Wells, Rancho Mirage, Cathedral City, Indio, Thermal, Coachella, Idyllwild and surrounding mountain communities. California Window and Door is rated 4.9 out of 5 by 52. Rated 5 out of 5 by Gr8BigDave from All of my contacts with them have been excellent They asked all the questions that I didn't know to ask. I have been so happy with them that I have referred them to neighbors, and even used them again! Rated 5 out of 5 by Fer61 from Great job and windows/doors All went very well with the installation of my two new windows and two new glass doors. I am thus far very happy with the product. The only negative was having to deal with obtaining the city permit myself. It was very stressful. This process is normally performed by the contractor, so I was informed by the city and inspector. Rated 5 out of 5 by DesertDreaming from Professional and Knowledgable The Team at California Window and Door is amazing. Tim took the time to explain the products available to me with no high pressure sales. Adessa, Christine, in the office offered excellent support and answered all of my questions. The installation team is professional and polite. The work was done over 3 days and when they left, there was no evidence that they had been in the house at all. The Milgard windows they installed are performing perfectly. The house is quieter, cleaner and more comfortable. Thanks to Everyone at California Window and Door. Rated 5 out of 5 by BoyStan from Very professional and very accommodating Would highly recommend Milgard windows and California Window and Door whom we bought the windows from, as everyone we dealt with were very professional. Rated 5 out of 5 by Woodhaven2017 from Excellent customer service and responsiveness. California Window and Door was excellent. They understood my deadline, provide an excellent product, and exceeded my expectations. Their staff installed the windows quickly, were very courteous, and very clean. I would definitely recommend and will come back to have them install my sliders next year.